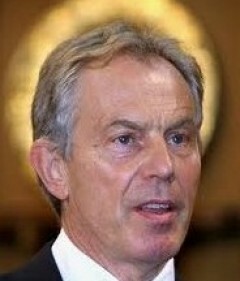 It’s been a few months, so we were due another return of Tony Blair. And so we had today’s intervention in the Brexit debate, fulfilling his earlier promise that he was going to get more active in British politics again. Naturally, and it couldn’t have escaped His Blairness’s notice even as he moves among the higher planes, is that there are a couple of by-elections on. In Copeland, the big issues are the local NHS and Sellafield. In Stoke-on-Trent, lying Paul Nuttall, aided and abetted by the Liberal Democrats, are trying to make it about Brexit. Blair’s speech wasn’t helpful. Throughout the campaign, UKIP and their little helpers in the local and national press have tried to make a thing about Gareth Snell’s Remain voting/campaigning record. He has said on more occasions than I care to remember that had he been a MP during last week’s Article 50 vote, he would have obeyed the whip and followed the steer of Stoke Central’s constituents and voted for it. He’s even gone out of his way to criticise Paul Farrelly’s stupid decision to defy the referendum result – Paul represents the tight marginal in neighbouring Newcastle-under-Lyme for Labour. The Tories have tried to make something out of it too. They put out a leaflet, signed by the Prime Minister no less, saying that Stoke’s two other MPs – Ruth Smeeth and Rob Flello – voted against triggering Article 50 when, quite rightly, they supported it. Goes to show that Nuttall isn’t the only liar in town. And so while Labour is working very hard to say that the Brexit result must be respected, along comes Blair to much fanfare to try and undo it all and muddy the position. At best, unhelpful. At worst, scabbing. I’ll leave you to decide which. That said, if the by-election goes down to a Labour loss, Blair will not be to blame. Like most places, he’s not particularly well-liked in Stoke. Then again, not a great many people care about what he has to say either. The local paper have covered it, slots were duly put aside on the evening news, a talking point on local radio maybe, but it’s not likely to have much of an affect on the by-election. Stokies aren’t thick and know he’s yesterday’s man. If everything goes belly up, which is looking decreasingly likely, there will be other issues and legacies at play. His fool speech won’t even register. I think it is really sad that Momentum have got those lovely young folks radicalised and mobilised by the Corbyn insurgency campaigning to get a man such as Snell elected especially when he will immediately join the PLP’s civil war against Corbyn if he is. I think it shows that like the Scottish Labour Party the local CLPs up North are isolated groups of anti-working class neo-liberals, Blairites and Tories intent on sinking the party rather than have it turn left. Stokies aren’t thick and know he’s yesterday’s man …. His fool speech won’t even register. Stoke, like any other large set of people, consists of a very diverse set of people of very varied levels of judgement. I therefore wonder about social commentary that relies on an abstraction like “Stokies” and their alleged general characteristics. The point about elections like this is that marginal influences can have a decisive impact on the outcome. In the last two elections only 20% of the electorate pitched up to support labour (down from over 50% in the post war period and over 40% in 1997). 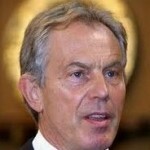 Blair’s statement should be judged in that context. Given it’s timing it is difficult not to see it as intending to do harm to Labour and given the context it has potential to do so. It should be judged accordingly. What was it Thatcher once said about denying the IRA “the oxygen of publicity”? That has to be the best response to Blair too. He’s an out-and-out narcissist for whom fame and money are the prime drivers. We probably can’t do much about the idiots who are prepared to pay him megabucks for his worthless advice, but we can and should ignore his grandstanding. While keeping a critical eye on those few of his other activities about which any meaningful information can be gleaned. He is apparently now in the process of combining his charities and part of his former web of secretive companies into a single organisation controlled only by himself. Worth watching, I’d say. This should make interesting reading. If I said this I would be expelled from the party. It is a work in progress but interested in peoples opinions. I intend to add to it a lot more or amend it in light of others views. I joined or rather like a lot of people re-joined the Labour Party in order to get Jeremy Corbyn elected. Defeat old ‘New Labour’ and work with others to develop a new way of politics. Have so far not attended any local CLP meetings nor any Momentum meetings, I was in any case very wary of joining Momentum as once those in the party get their way, and they will because they have the money and contacts Momentum will be purged from the party. My other concern is that what if I prefer Momentum meetings to those of my Local Labour Party? The Labour Party and Momentum both have the same problem which is the inability or unwillingness to wake up to the fact that most people whether seasoned activist or newcomers do not want to attend monthly meetings, play skittles, or go to cheese and wine parties. If we have anything to say we probably do it on line. Somewhere here I want to say that we should stop using the terms ‘left’ and ‘right’ it’s outdated and lazy sets us apart as a political class. What I and most people are interested in is ideas. The generation of them, the development of them, the implementation of them. Ideas are stifled in the party because it is far too bureaucratic. One of its most outdated and dangerous beliefs is people are going to campaign and vote for Labour no matter who the candidate is or the policies are. There is a very good chance from now on that if Labour Party members don’t like the candidate they will not do any work. Those of us that truly believe in a democratic society must embrace democracy in its purest forms. We have the technology to do this but maybe not the will. So who should be members of the National Policy Forum? I would say any party member with membership of over 12 months that wants to be a member. Effectively I think this would lead to not more than 10,000 National Policy Forum members. They would be required to read policy documents on line, discuss with one another on line develop policy on line. ANYTHING should be put on the agenda and debated that 100,000 members want on the agenda. ANY MOTION that one third of the delegates want put to members should be sent to ALL members to vote on. Members could permanently opt out of voting by communicating this to the General Secretary. Party Conferences should be held twice a year with the assumption that a lot of delegates do not have to attend in person. The Conference can be telecast and delegates vote on line. The Leader should produce a list of MPs they want to appoint to the Shadow Cabinet this should be sent to every party member to vote on. Obviously it might be necessary for the Leader to appoint members in an emergency. Any Leadership Contest should be triggered by Party Members and definitely NOT by the Parliamentary Labour Party. I would suggest a proportion of Constituency Labour Parties writing in requiring such a contest. The removal of ANY right of the PLP to trigger an election. Bill, I’m with you all the way but I just wonder how the kind of behaviour described here can be accommodated within a party of the left? Is it realistic to hope that change can happen soon or is the CLPD way of thinking – working for Rule change in the long term – more realistic?